49.5 inches long by 12 inches wide at the widest point (external). 40.5 inches long by 15 inches wide at the widest point (external). 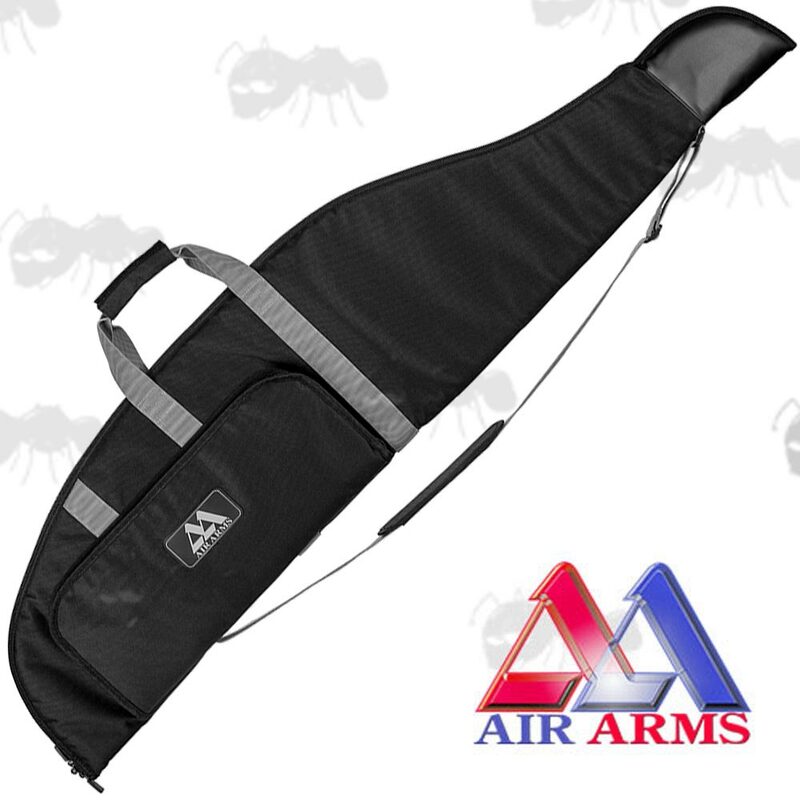 Black canvas airgun case with subdued (grey) Air Arms logo. 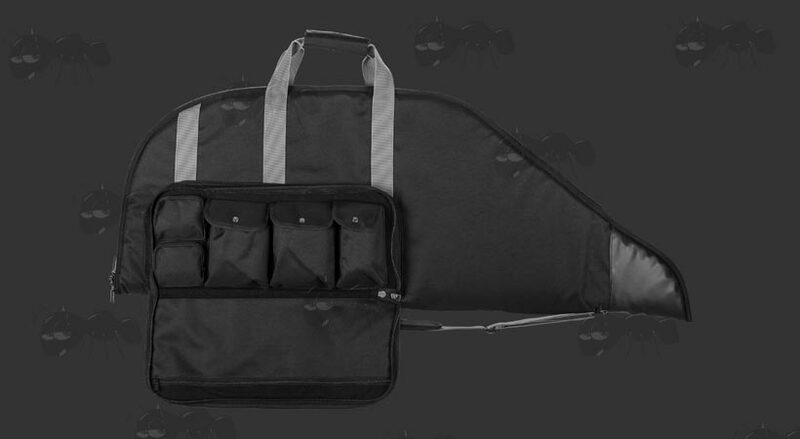 Ammo pocket, 17 inches long x 7 inches wide, with full sized zipped pouch inside flap and another five fixed pockets. 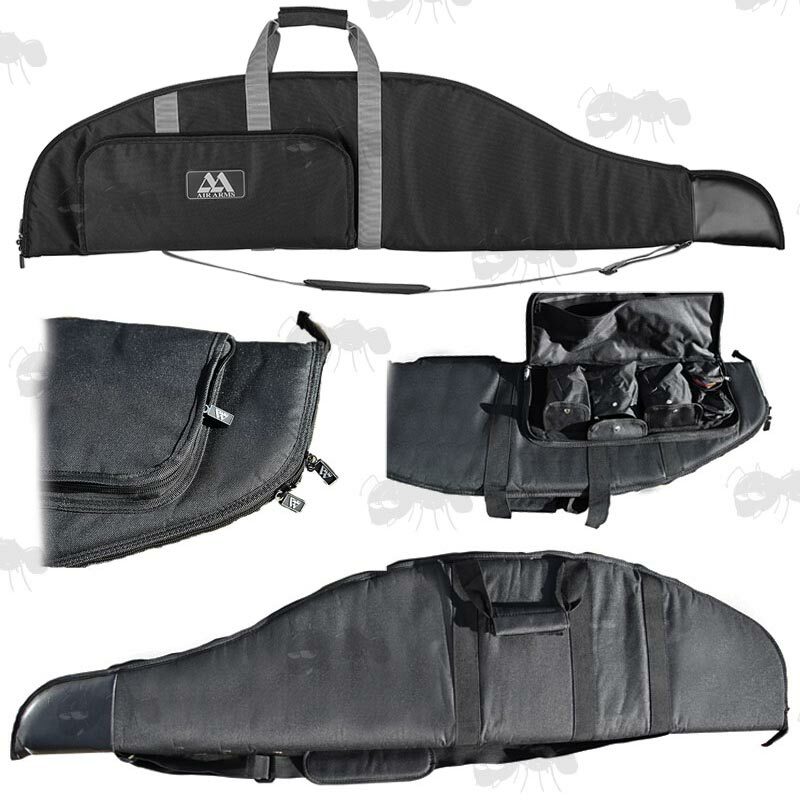 Polyester canvas rifle case with thick foam lining to protect your valuable Air Arms rifle. 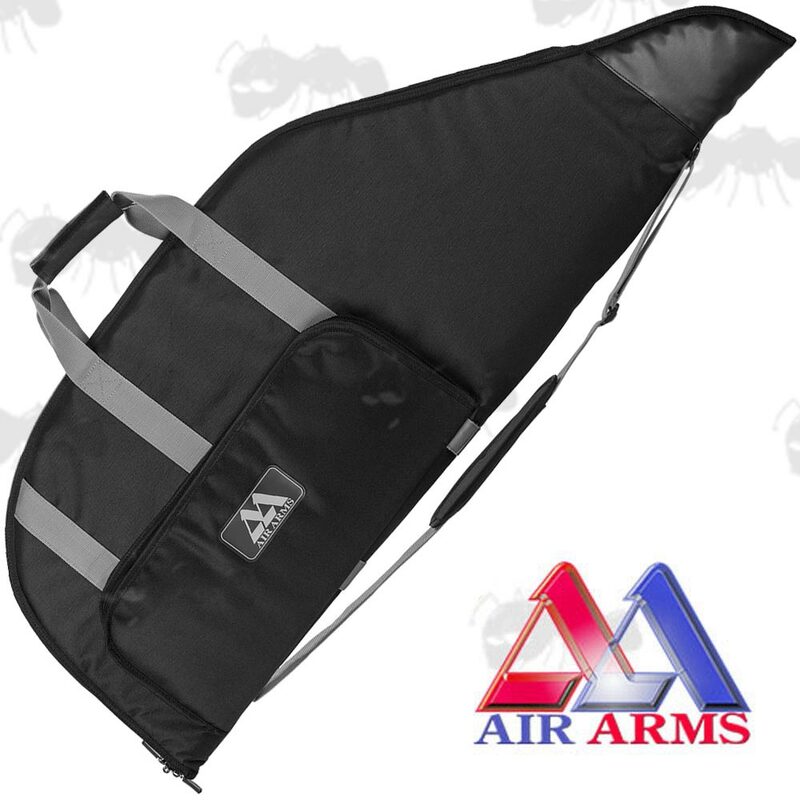 Featuring a useful outer pocket with with the instantly recognisable PVC AirArms logo. 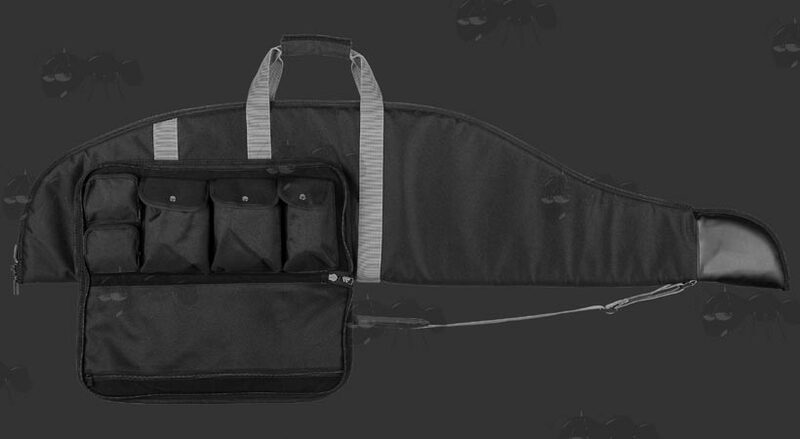 Complete with twin carry handles and an adjustable length shoulder strap (now grey not black). Also available ~ Air Arms Bipod / Sling Stud.